Well Bloggy friends, we're half way there! We have 50 comments on the "I Blog" sterling silver blog tag pendant giveaway! Don't forget to leave your comment, so we can choose the winner! We have to reach 100 comments! You might mention to your readers that they could help the process along by entering too...you know you want to win....(please leave your comments to win on the original post, see our sidebar button over there to the right). I would love to be added in the comments I found you today through one of your nominees for top blog! This is the first time I have tried to enter for a giveaway so I'm excited. The I blog tag looks so cute. I love the I blog tag! I just found your blog!! 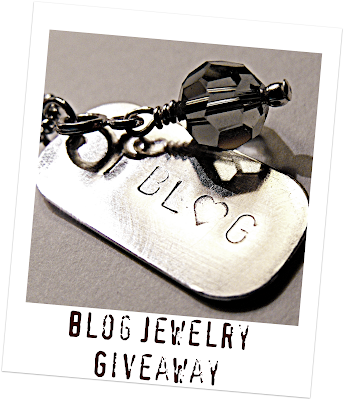 I would love to win the blog tag! Just found you through the button on Karen Valentine's blog.